Unless you’ve been living under a rock lately, you’ll have heard of the phenomenal Lauren Daigle – the Christian artist who has captured the hearts of the secular music scene and the pop world too! Known for her gorgeous honest voice and superlative songwriting, she guarantees a show unlike anything you’ve ever seen before. It’s all happening on Friday 7th December 2018 at Bob Carr Theater! Get your tickets today!! After the success of her debut album “How Can It Be,” in the Christian music world, the expectations were very high for Lauren Daigle’s follow-up. However, she didn’t try to copy her old record – the result being an immensely popular album that’s soaring in the charts right now. 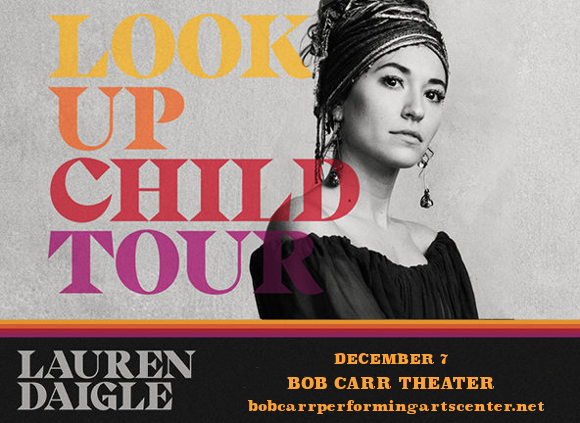 Get ready to hear it all live – get your Lauren Daigle tickets today! !